As we've previously reported, some home additions and improvements add value to a home, some don't. In many ways, it comes down to what a prospective buyer values. While it's an inexact science, researchers at the University of Texas and the U.S. Green Building Council (USGBC) have concluded that new homes built in one Texas metro -- Austin-Round Rock -- conforming to standards like Leadership in Energy and Environmental Design (LEED) specs, can add $25,000 to the resale value of a house. Specifically, the study found that homes built between 2008 to 2016 saw an 8% increase in value if they were built to LEED standards. Homes constructed to conform to a wider range of green standards experienced a 6% gain in market value. 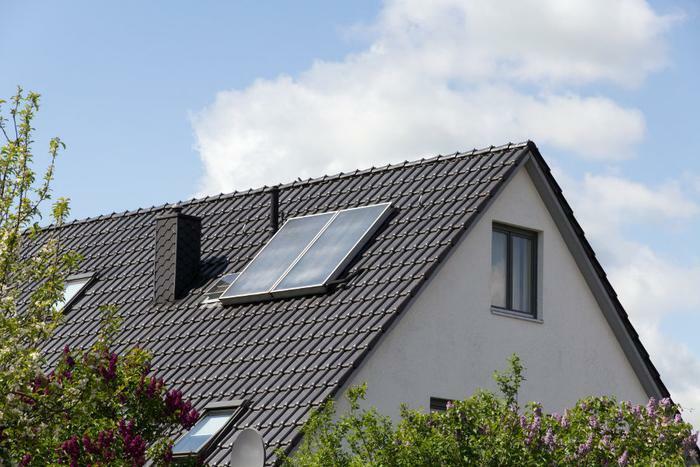 "Our research shows there is a 'green premium' in the Texas single-family home market," said The University of Texas at Austin's Dr. Greg Hallman. "The average new home in our Texas MLS dataset sells for $311,000, so a 6%-8% green premium represents a significant gain for home owners, developers, and real estate agents and brokers." The study was based on an analysis of more than 230,000 homes in Texas -- more than 3,800 green-certified -- and took into account additional factors like interior floor area, number of bedrooms and bathrooms, garages and the age of the home. All things being equal, it found green-certification raised the resale value. "Homes that are built to meet green standards deliver more value to the seller and also ensure that buyers will have a high-value sale down the road and reap the benefit of lower utility bills while living in the home," said Taryn Holowka, senior vice president, USGBC. If you are considering the purchase of a new home, the U.S. Department of Energy suggests checking into an energy efficient mortgage (EEM), which is available through most lenders. It takes into account lower energy costs associated with home ownership and may allow you to qualify to purchase a more expensive home. If you aren't buying or building a house, but want to make your current home "greener," there are plenty of improvements you can make to an existing structure. The website HandymanMatters.com advises that improvements can range from the small and inexpensive, to the major and costly. For example, adding insulation to an existing home and improving natural light and ventilation will promote greater comfort at less cost. The site also suggests focusing remodeling and renovation efforts on the kitchen and bathrooms, which are major selling points in any residential real estate transaction. Installing a tankless water heater, low flush toilets and aerator sinks will significantly cut down on water consumption. It's been estimated that bathrooms are responsible for 60% of a home's water consumption. Replacing incandescent light bulbs to florescent or LED bulbs is another low-cost, easy green home measure.